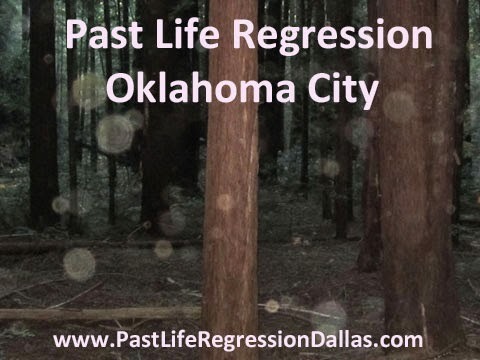 It's time for another visit to Oklahoma City for Past Life Regression, Life Between Lives and Quantum Healing Hypnosis. Although Mark usually visits Oklahoma in December, this time he has decided to return a few months sooner in October. Recent clients in Dallas and New Orleans have been experiencing amazing results during the past life part of the sessions. Often this type of healing occurs during the Quantum Healing Hypnosis session while we are communicating with spirit. These healings are a result of experiencing the root cause of problems in the current life while exploring various past lives. Often just going through the experience in the past life that created the current life challenge is enough to allow the client to release themselves from the affects of the problem. I make sure to include additional suggestions to make sure the client moves past the challenge and let's it go once and for all. Sometimes the client does not tell me about their problems, yet if it is appropriate, they will be guided to the time and place where it all began so they can release it. Quite often they are able to deal with the challenge by understanding the source of the problem during the past life regression. However, when the issue is related to a lesson in their current life, it may not be resolved completely. Find out more about my upcoming visits to Oklahoma City and Hot Springs, Arkansas for Life Between Lives, Past Life Regression and Quantum Healing Hypnosis by following the links above. Continue reading for more about recent past life healing stories. Today I had a client who did not tell me about any issues she was experiencing. However right at the beginning of the first past life she said her throat was hurting and she could not swallow. Then she told me she did not like to have anything tight around her neck in her current life. Turtlenecks, buttoned shorts and choker necklaces are not part of things she will wear. This is common with people whose past life ended as a result of some sort of neck injury such as being hung, having their head cut off or their throat cut. When someone starts a past life in a scene that may be the end of the life, I prefer to take them back in time to discover more about their life before we go through the death scene. We went back and explored her life and when we came to the last day we discovered that she had done this on purposed, she decided she no longer wanted to live. Apparently she drank too much of something and it got stuck in her throat, and that was the end of her life. Later in the session we discovered that she had included as part of her preconception contract in her current life that she would not take her own life this time. Some contracts need to be canceled but that is a contract that needs to remain in force. Several days ago I had a client who experienced a triple play during her past life experiences. She also started off with a pain in the neck, not from a person but from being hung, or so she thought. She reported that she was hanging and her feet were dangling. I feel like I am being hung. Again, since this seemed to be the end of her life I took her back in time to explore her life. It was interesting because we connected to a few scenes as we went back in time, then we began to slowly move forward to fill in the details. She was a female in her 20's and lived in the 1920's. 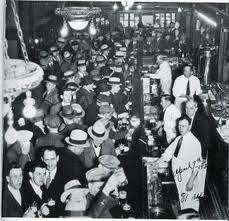 She worked for her father driving to Canada to pick up barrels of whiskey and deliver them to speakeasies in Chicago. One day she was making deliveries and was spotted by the police when dropping off several barrels at Charlie's, a Chicago Speakeasy. They began chasing her and her younger brother in their truck, her brother was trying to shoot out the tires on the police cars, and eventually fell out. The police were shooting as well and shot out the driver's window. Eventually she lost control of the truck and crashed into a tree. This was when the hanging occurred, but it was different that what you may be thinking. Upon leaving her body she realized what had happened as she saw her body hanging from a limb on the tree. Apparently the limb when through her neck and she was hanging there from the tree limb. I discussed releasing the physical aspect of the death in this life as well as any mental and emotional aspects of this life. It was not until later in the session that I discovered that she has had chronic neck and upper back pain for most of her life. This was the result of that past life experience and she was able to let it go. When she opened her eyes she was amazing that her chronic pain was completely gone, her neck and back had never been free of pain until it was released during her past life regression experience. As we continued her Past Life Regression session she moved to another time when she was a homeless boy who often went hungry. Eventually he was taken into an orphanage but was not allowed to interact with all of the others. He remained with a smaller group in the orphanage, and they were all suffering from consumption, which is now known as tuberculosis. My client said consumption, but later told me that she did not realize that was tuberculosis. Eventually several of his friends passed away and he was there with one of them at the end. We moved on to his last day and he was sad because his 2 closest friends had already passed before him. As he crossed over, they were both waiting for him, tears came to her eyes and she realized she knows both of them in her current life, one is a close friend and the other is her husband. There were several opportunities to let go of the past during this lifetime. He decided after that life that he would never go hungry again. This contract resulted in my client being overweight, even after having Bariatric surgery in this lifetime, she remains over weight. The contract has now been canceled and time will tell how that works out for her. She had told me that she has asthma in her current life, and not knowing if there is a connection between consumption and asthma, I asked her to release any affects from consumption in that past life that may have come forward and caused the asthma in her current life. While working with her guide later in the session we were told that most of the affects of the asthma had been resolved. She will no longer need an inhaler, however some of the affects remains because they are a part of her lesson in this lifetime. Finally, when working with her guide I asked about her depression. We were told that is part of her lesson and she has work to do to release that. Her guide insisted that she needs to follow her path and once she does what she is supposed to be doing here, the depression will fade away. She was told the medications she is using are not really helping, because this is part of her life lesson. I stressed that neither her guide not myself were in a position to suggest she make any changer to her medication, that is between her and the person who wrote her prescription. I did not ask her guide to remove the depression, because it is a part of her life lesson. However I did ask her guide to help her out so that she could do the work she was told to do to learn her lesson and release the depression on her own. The depression makes it difficult for her to do what she needs to do, a virtual catch 22. So I asked her spirit guide to turn down the volume on the depression by at least 50%, if not more. The guide agreed to turn it down 50% so that she will be able to do what she needs to do to release it completely. Past Life Regression is a powerful process that can bring about changes in our lives. That said, there are times when there is more to dealing with issues we face, and if they are a part of our life lesson, there is little to no chance that past life memories, spirit guides, the higher self, angels or even ascended masters will assist you in completely releasing your problems. However it is possible to discover what you need to know to resolve these issues on your own. Are you ready to deal with challenges in your life? Are you ready to release the affects of past life issues in your current life? Are you ready to discover what you need to know so that you can move forward in your life? As I mentioned above I'll be traveling to work with my Oklahoma City Past Life Regression clients and my Hot Springs Past Life Regression clients in October. Find out more about Life Between Lives, Past Life Regression and Quantum Healing Hypnosis in any of the locations I visit, including Oklahoma City, Hot Springs, Arkansas, San Antonio, Houston, New Orleans, Atlanta and Charleston, SC, and of course Dallas, Texas.